The Appearance of Murder... - Liz Loves Books.Com. 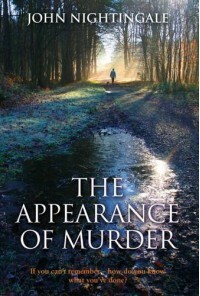 I enjoyed The Appearance of Murder - although I admittedly thought it had quite a strange narrative flow that I couldn't quite get to grips with. It is a mish mash of old school and modern - the story itself, that of a crime writer with a gap in his memory who gets caught up in the possibility of an actual murder in his past - all whilst attempting to write his latest police prodedural was an excellent premise and worked very well on most levels. It is a gentle read for sure, one for those who like their crime less bloody and more character study but it never really got going on all cylinders for me. Having said that it is a solid 3* read with good plotting and an unpredictable outcome. So I'll be looking for more from this author to see whats what.